Michael "Mik" Kaminski was born on September 2nd, 1951 in Harrogate and was ELO's violinist from September 1973 to September 1986. From "Face The Music" onwards he only played violin solos on ELO's albums and also changed over to synthesizer from 1981 onwards on ELO's live set, for the new songs which did not feature a violin. The wine-lover and bet-fanatic Mik Kaminski was able to bring in a lot of musical experience from his earlier works before his job with The Electric Light Orchestra. He made his first professional performance with the Leeds Orchestra, when he was 14. During his time at the Leeds School Of Music he founded the band Cow together with his friends John Hodgson (drums) and John Marcangelo (keyboards and percussion). Mik said about this band several years later: "We were the only band apart from Curved Air, who used a violin. Unfortunately we were devoting more energy to the band than to work, with the result we all got thrown out." In 1973 he joined Joe Soap of Tennet Morrison and played violin on the "Keep It Clean" album. 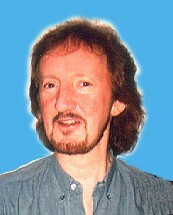 Their producer Sandy Roberton suggested Mik to Andy Roberts who needed a violinist for his album. Thus Mik also played in 1973 on Andy Roberts "Andy Roberts And The Grand Stampede" album. After those albums Mik had applied for the vacant post as ELO's violinist, because of an ad in the Melody Maker and was recruited because he was the only one who didn't play a bum note when Jeff sorted out a violin player from all the guys who had turned up for auditioning. During his involvement with ELO he founded a temporary sideline group Violinski with his friends from Cow in about 1977. Due to ELO's full touring schedule they couldn't do any concerts or release any records. It was not until 1979 that their first album "Time To Live" was completed. It was released in spring 1979 and had a Top Twenty Hit on it called "Clog Dance", written by John Marcangelo. Mik also wrote a song for the album, and co-produced it with his two Cow friends. The album was recorded in Munich at Musicland with Reinhold Mack mixing. The album was re-released in the USA under the new title "Whirling Dervish" on Accord Records in 1982. One year after the debut album, their second record "Stop Cloning About" was released. This time it was produced by Violinski and Mack, who engineered it and recorded it in Munich Musicland. Several singles were lifted from the album. The first one was to be "Scenario", but the record company changed their mind after promo copies had been pressed up. When the album was released, the song had been re-titled as "In The Distance". Despite good sales of "No Cause For Alarm", the 1980 album was only released in the UK, and so it couldn't do much better than the first. In 1981 Mik went on tour with ELO, and played his violin on "Midnight Train" for Kelly Groucutt's LP "Kelly" and did mime violin on another Kelly song "Oh Little Darling" on the German TV show 'Musikladen' in March 1982, and so it wasn't until May 1984 that Violinski, or rather what remained of it were able to do their only other three concerts in Northern England. After those three gigs the band ceased to exist without being officially dissolved. Jeff made no secret of it that he had no ELO plans for the time after ELO's 1986 Tour, so Mik joined Kelly Groucutt's new project Player and played on the A-side remix version of "Am I A Dreamer". They both founded a new band which was to keep The Electric Light Orchestra's music alive: OrKestra. Mik played the violin, was co-composer, appeared in a movie, toured Britain in 1987, 1988 and 1989 and released two albums under the name OrKestra. When Bev Bevan called out for former ELO members for his Electric Light Orchestra Part II, Mik played violin on the album track "Heartbreaker" and became a member of the live group. When he was asked to join ELO Part II as a permanent member and to record the second album with them, OrKestra called it a day. In 1996 Mik occasionally helped out Phil Bates on his club gigs as a solo artist. Mik Kaminski is married and has a daughter, Danielle, born 1988. Informationen zusammengestellt von Marc Haines, Patrik Guttenbacher und Alexander von Petersdorff. Mehr über Mik Kaminski ist in ihrem Buch "Unexpected Messages" zu finden! (C) 1996 FACE THE MUSIC GERMANY.